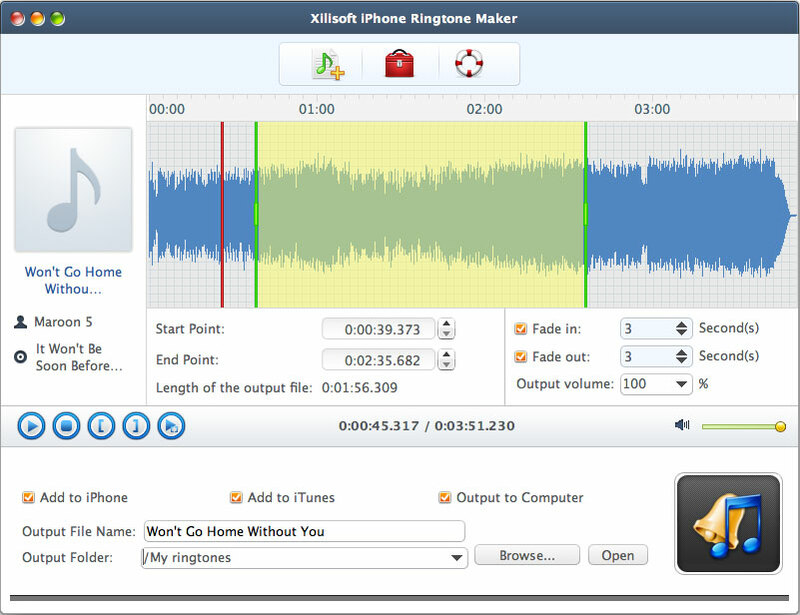 Xilisoft iPhone Ringtone Maker for Mac is a fast and easy-to-use Mac iPhone ringtone converter for iPhone users. It can convert audios like WMA, WAV, RA, M4A, MP3 and videos like VI, WMV, DivX, MP4, H.264/AVC, AVCHD, MKV, RM, to M4R iPhone ringtone. 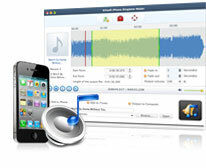 After iPhone ringtone making done, this iPhone ringtone maker can directly transfer ringtone to iPhone. The Mac iPhone ringtone maker allows you to convert music to ringtone and convert audios like WMA, WAV, M4A, MP3 to M4R iPhone ringtone. Use movie music as iPhone ringtone by converting AVI, MPEG, WMV, DivX, MP4, H.264/AVC, AVCHD, MKV, RM, MOV, XviD, 3GP to M4R. As a music-to-ringtone converter, it enables you to select exactly the part of the music or song you want to convert as ringtone for iPhone. 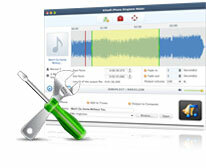 Now you can set the time to millisecond and create ringtones more precisely! After iPhone ringtone creation is done, the Mac iPhone Ringtone Maker helps you transfer ringtones to your iPhone and set as iPhone ringtone. 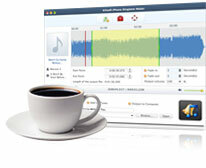 The built-in player used in Xilisoft iPhone Ringtone Maker for Mac enables you to listen to the music, song or movie. No matter MP3 to iPhone ringtone or AVI to iPhone ringtone conversion, all of the video/audio to ringtone conversion is faster than you can expect. Provide several interface languages to choose: English, German, Japanese, French, Spanish, Italian, traditional Chinese and simplified Chinese..